Vintage has a profound influence on the expression of wine even making the same wine from two different years taste noticeably different. Weather plays a key role including amount of sunshine, amount and timing of rain, wind, frost, hail, etc. But insects (in particular yellow-jackets), squirrels, deer and other fauna play a huge role. These factors influence each other and weave together to influence the overall Vintage and of course the enigmatic wine's express: what the French call Terroir. 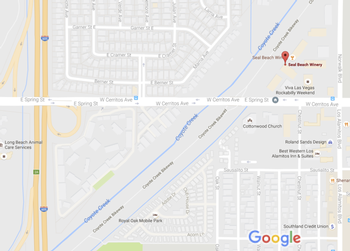 For the Seal Beach Winery portfolio I will give a quick synopsis of some recent years. What I remember the most were inconsistencies. My Sangiovese from Estelle never ripened. 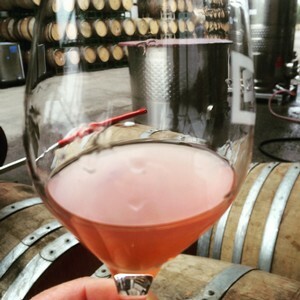 The Pinot Noir from the Sta. Rita Hills seemed to take a very long time to move from Veraison to ripeness (as measured by Sugar levels or BRIX) but at the end went very fast. It rained toward the end of the growing season and many picked early. 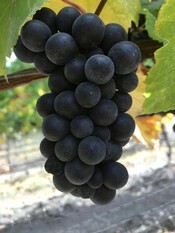 The Cabernet was more normal in timing not being Harvested until mid-October. And the Grenache came off last November 1st. In Winemaking we have a saying that difficult grapes (stressed) make great wine; and, I believe this will be a very good vintage. This was the year that everything started to revert back to normal or pre-draught times. It was a very standard year with a good winter rain and a little rain in the spring. It was a cool spring with some wind. There was lots of squirrel and insect damage. 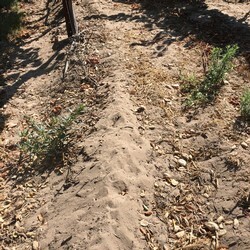 The Yellow-Jackets were so bad in Tierra Alta with the Tempranillo that had trouble walking the rows for fear of being stung to death. The squirrels at Estelle would run up one side of a row and strip it of grape clusters but spare the opposite site. There berries looked beaten up and ugly that year and I remember doing a great deal of sorting to eliminate the raisons and damaged fruit. But ugly grapes make fantastic wines. 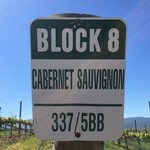 My Cabernet Clone 337 on Block 8 in Estelle suffered Berry Shot (small inconsistent clusters of grapes) and we did not harvest it. Good balance with tannin, alcohol and organoleptics are characteristic of this vintage. Overall, it was a very good year for wines with excellent Reds. Wet, wet and wet was the motif for this year. The rains came back and Harold the beginning of the end of the draught (it did not official end until the rains of 2018-2019). Overall Harvest was bountiful and a little early. It was warm in the summers to very hot. Most reds were harvested in September. I believe this will be an excellent year across the board for wine. This was a crazy year. For me, the vintage most effected by the draught. SBW yields were extremely small and everything was harvested on the early timeframe. I remember the very small berries on the cluster especially with the Pinot Noir. The Chardonnay at Harvest was golden with small raison like berries. The whites and the Pinot came off early in late August. The Harrison Clarke Syrahs were very early at first week in September. Cabernet and Grenache was Mid September to beginning of October. Last off was the Cabernet Clone 101 October 8, 2015. These are very concentrated, tannic and superior wines. The reds are amazing across the board. Drink now if you must but these wines will hold up to decades of aging. 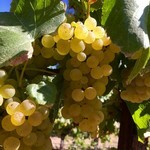 Good year for yields with fruit forward and early drinking wines. I think the tannin levels were very balanced yielding Cabernet and Pinot that is very drinkable early. I taste through this year and I think these wines are delicious and a bit showy with some star potential. I do not think these are wines that I would age because they are yummy right now; but I think the reds will hold up for a decade. 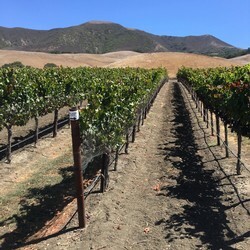 There was very little rain and the growing season was early with whites harvested in August, Pinot in early September and Cabernet in early October. The Tempranillo from Tierra Alta was last off on October 7th, 2014. Although there was drought the crop levels were good to larger than normal. I would sum up 2013 by saying the wines were good but not exceptional. I did not think it was a bad year but no looking at how good 2015-2018 appear to be panning out makes me downgrade the overall vintage. I thought it would be interesting to post the notes of a prominent viticulturist in Santa Ynez. Here's a brief synopsis of some past vintages from viticulturist Jeff Newton of Coastal Vineyard Care. Jeff manages SBW vineyards: Harrison-Clarke, Happy Canyon of Santa Barbara Vineyard, McGinley Vineyard, Tommy Town, Flower & Vine (Los Alisos) and Boa Vista to name a few. 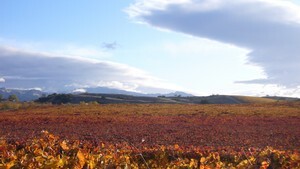 The 2012 season was a long sunny year, with normal rainfall amounts during the winter months, minimal frost and mild wind during bloom-time. Warm temperatures starting in mid-July and continuing through early October helped ripen the plentiful crop load. This also made harvest for both winemakers and grape growers more intense as many varieties ripened very close together. The 2011 season was challenging for growers. The spring time began with a damaging freeze which lasted for multiple days. Later cool, windy, and rainy weather at bloom further reduce the crop. The spring and summer weather was mild, creating high mildew and botrytis pressure. The growing season included unseasonable light rain events throughout the spring, summer and fall months. With the exception of a couple of light rain events, the harvest season was warm. 2010 proved to be the coolest season in memory marked by reduced vine growth, low yields and delayed ripening. Both the spring and summer were unseasonable cool with the exception of a significant heat spike in late September followed by early rains during harvest season. Drought continued for the third year in 2009 leading to both low vigor and low yields. The spring and summer were mild and cool but a late September heat spike pushed the sugars up. 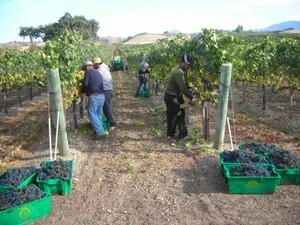 The harvest season was challenging due to the October rains which were followed by 90 degree weather. 2008 was a tough year with less than 10 inches of rainfall and a late April freeze that contributed to low yields. Summer was mild with the exception of a late August heat spike. This heat spike lead to an early harvest which was marked by an early October freeze occurring before the completion of harvest. 2007 began with below average rainfall and cold winter temperatures, which in turn lead to late budbreak. Bloom time was cool, followed by an unpredictable summer with multiple heat spikes. The weather created a long hang time and an extended harvest season. 2006 was the second year in a string of wet winters. The spring bloom time period was wet and windy as well. The summer continued to be very mild creating a long growing season with a later than usual harvest. An especially wet winter created large canopies and a heavy crop load. The mild and cool spring was followed by a hot early summer and finally settled into cool late summer and fall season. This created a long maturing process for the grapes, allowing the pH and sugars to be balanced. The 2004 season began beautifully with a warm spring which was followed by a mild summer. However a significant heat wave in September accelerated ripening and lead to an early harvest. Early October rains posed a late harvest threat. Early budbreak marked the beginning of the 2003 season, followed by unseasonable spring rains during bloom which impacted fruit set. The light crop was pushed to early maturity by a significant heat spike in August. The 2002 season began with average winter rainfall and a cool early spring. The cool weather continued during bloom leading to poor fruit set. Summer and fall continued to be cool, creating a long mild growing season allowing the light crop to hang and develop slowly. A polar opposite to last year, Mother Nature is cooperating in 2016. The mornings are much more usual being cool and covering most of Sta. Rita Hills in morning fog. The mid-days are mild with temperatures in the mid 70s for the most part and the late afternoons cooled by ocean breezes. There have been several peaks into the high 80s to low 90s but none of the 100 plus temperature spikes that were quite common in 2015. There is no rain in site, which should play no role whatsoever in the harvesting decisions. Long, mild days have produced well-balanced ripened grapes. The acidity is normally respirated or lost when the temperature get too high; this is done to help cool the grapes. But this year that has not been a problem and the acidity is well balanced with the continuous and steady increase in sugar. Sugar is important for measuring the ripeness but also directly equates to the amount of alcohol that will be in the final wine product. First to come off this year was the Pinot Grigio from Runway Vineyard on August 1st. This is always earliest as it is in the Santa Maria AVA (American Viticultural Area) and tends to ripen early. Next we took Pinot Noir from the roadside portion of Rio Vista Vineyard in the Sta. Rita Hills. Acidity was the name of the game for this harvest as these Pinot Noir Clone 667 grapes are destined to become the 2016 Rosé of Pinot. The focus of this wine is minerality, floral notes and light red fruit qualities to provide balance to food and a fine tasting Rosé. 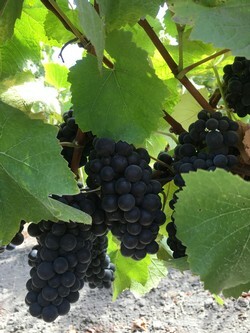 Several weeks later in mid September, the Rio Vista Vineyard from the Hillside Pinot Noir Clone 667 and the lower bluff, Clone 777 were picked to make Pinot Noir red wine. Any day now we will finish with Rio Vista by harvesting the Clone 115 that is tucked away in a small, shady little plot up the road from the main vineyard. 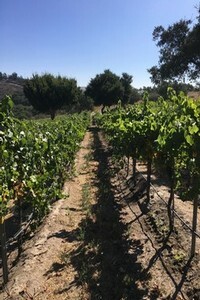 Around this time, the Rancho La Viña vineyard Pinot Noir should be nearing ripeness. 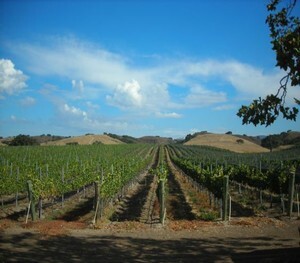 This vineyard is up on a Hillside and overlooks the entire valley and Santa Rosa Road that splits the sides in half. Pinot Noir in 2016 will be very age-worthy with amazing balance, beautiful perfume noses, minerality and fruit concentration. Next will be our whites: Chardonnay and Sauvignon Blanc. 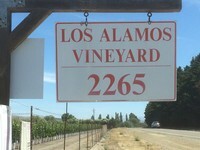 The Chardonnay is in Los Alamos Vineyard in Block 20 or Flower & Stag Block. 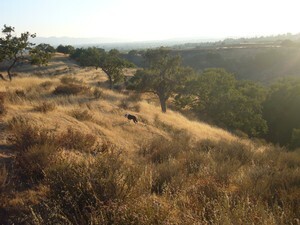 It is in a 1.74 acre separated parcel that is isolated from the rest of the large vineyard. It has its own microclimate and sandy soil; stay tuned for a complete and detailed write up of this vineyard. Many fantastic and famous Chardonnays come from this site. The Sauvignon Blanc is back by popular demand. Many club members have been asking me to make Sauvignon Blanc again but it took me awhile to finally find a vineyard I liked: Two Wolves. This is abutting the Happy Canyon AVA and is the hottest of the microclimates for our wines. Sloping, steep hillside Clone 1 Sauvignon Blanc is just beautiful here and I cannot wait to make wine from this site. Look for Chardonnays with apple and pear flavors aged in oak for creaminess. The Sauvignon Blancs will be lean, with tons of minerality dominated by lots of passion fruit and guava. After the whites are done will come Harrison-Clarke Vineyard. 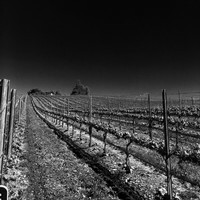 The upper bluff, soil-starved, stress Estrella Clone Syrah and the flat. lower expanse Alban Clone Syrah will be harvested. Both of these appear to have the perfect balance of acidity, sugar and flavor. It should be an amazing year for these Rhône varietals. I am expected intense blackberry, pepper and cola. 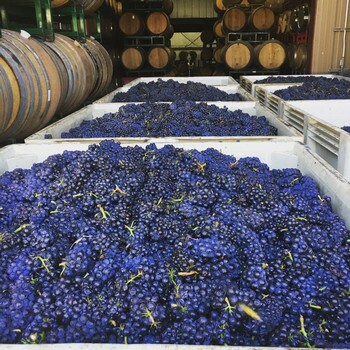 As the season progresses we will Harvest: Cabernet, Malbec and Merlot from Happy Canyon Vineyard, McGinley Vineyard and Tommy Town Vineyard all from the Happy Canyon of Santa Barbara AVA. 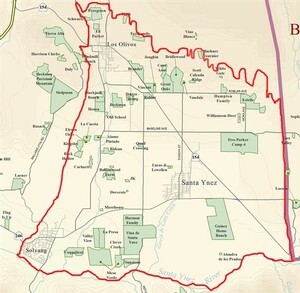 At about the same time the Cabernet and Merlot from Estelle Vineyard should be ready which is located in the newest AVA: Los Olivos District. Late to the party will be the Cabernet Franc (Sanger Vineyard), Petite Sirah (Sanger Vineyard), Sangiovese (Estelle Vineyard) and Tempranillo (Tierra Alta Vineyard). To finish the season will be the Petit Verdot (McGinley Vineyard) and the grand finale the Grenache from Flower & Vine Vineyard (aka Alisos Vineyard). I will be updating more on the Harvest as it progresses. From Grapes to Glass, providing insight into enology, viticulture & taste that is Your Winery. The flowers have set and budbreak is upon us. 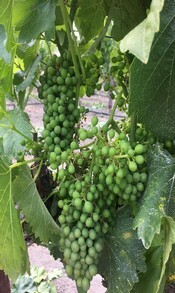 We now have a little tiny grapes making up little clusters. These green clusters will continue to grow, accumulate sugar and respire acid until Veraison; when they change color to white or Red. This is usually in mid-July. 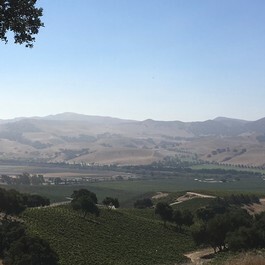 The 2015 vintage was most representative of the California drought. The vines were stressed from a very early time period. 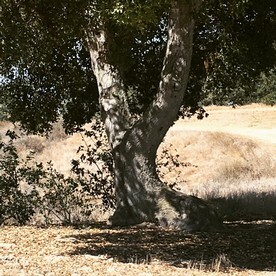 The lack of water starved the vines and reduced yield. To compound this problem, an early Spring wind blew at the time of flowering. Flowers are very delicate and wind can blow the flowers off the vine. 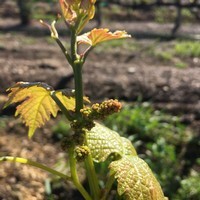 The flowers after pollination are what produces grape clusters. So this wind essentially thinned or reduce the clusters, which meant less grapes per vine. This reduced the overall yield. In this Terroir, the stressed vines tend to produce small berries, less grapes per cluster and less clusters per vine. On the bright side, this has produced fantastic wine. Dark, rich and concentrated Pinot Noir and Cabernet highlight an excellent vintage. Into 2015, we also added Petite Verdot, Merlot and we are doing our second year of Tempranillo. The Syrah on the hilltop Vineyard of Harrison-Clarke again produced amazingly rich wines with layers of depth. 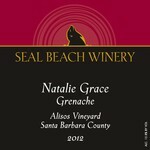 Our newest addition to the Seal Beach Winery portfolio is the Natalie Grace 2012 Grenache from Alisos Vineyard. We have been working in this Vineyard since 2008. 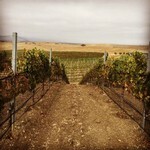 Later this year we will release the 2012 Syrah from Alisos Vineyard. We also have a new Viognier from Brickbarn vineyard in Santa Ynez Valley AVA. In August we will be bottling 2015 Chardonnay and the 2014 Cabernet Sauvignon Clone 337 Estelle Vineyard Los Olivos District AVA. On June 4th, we had our first Winemaker's Dinner at Delius Restaurant in Long Beach. Everyone had a great time with wonderful Wine and Food pairings. That was the night we first offered our latest Futures purchase. Now for a limited time, the 2014 Cabernet Clone 337 Estelle Vineyard Los Olivos District AVA is for sale in barrel. Each case of 12 bottles is offered for $300, well below the retail price of $480 and the Wine Club discounted price of $324. But this deal will be done when the wine is moved from barrel to bottle in August 2016; so if you are interested act now. 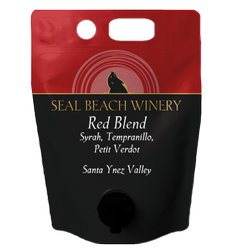 Much variety will be found in our Reds from 2014: Cabernet, Pinot Noir, Tempranillo, Zinfandel and Syrah. Look for these wines to release throughout 2017. As Summer nears, we are about to have our thousandth fill for each of the 1.0L & 1.9L growlers. This is an extremely popular program and if you are a Wine Club member and not yet a Growler member I encourage you to look into this further. We just added a 1.5 L disposable growler this year. It has a very low environmental profile made from recycled materials and completely is recyclable itself. It has an airtight spout dispensing system, that will keep your wine fresh as long as you drink it. Look forward to many new growler additions in the second half of 2015: Sangiovese, Cabernet Franc, Petite Syrah, Rosé of Grenache, Barbera, a Rhône blend of Grenache & Syrah, and many others. My plan is to have six different growler wines to choose from at all times. Seal Beach Winery🍷 has recently redone their entire Internet site. Our website is now mobile enabled and we have links to all of our social platforms. This ease-of-use and modern update makes the website beautiful and very functional. In addition, we have a new point-of-sale software that will help serve you better with direct table-side service.